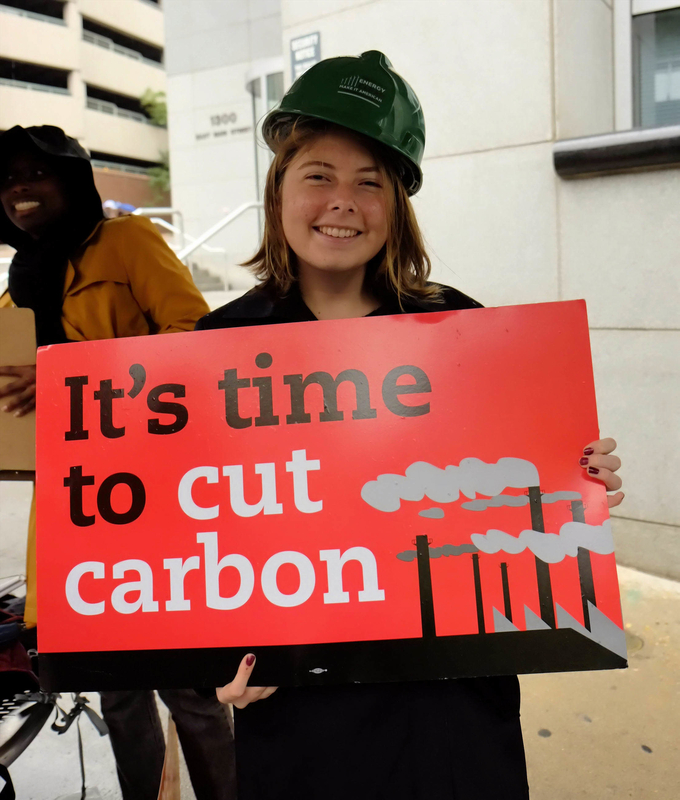 The Virginia Chapter of the Sierra Club just published its second annual Virginia General Assembly Climate and Energy Scorecard. The Scorecard grades Virginia’s state elected officials on the votes they took during the 2015 General Assembly Session on legislation that will have a direct impact on Virginia’s energy policy and strategy to mitigate and adapt to climate change. This was the General Assembly’s first opportunity to weigh in on the Environmental Protection Agency’s Clean Power Plan, the nation’s first effort to deal with carbon pollution. The plan gives new momentum to the transition underway in the electric sector away from dirty coal and towards clean energy like efficiency, wind and solar. The plan won’t be finalized this summer, but a lot of Republicans have already decided they’d rather fight than switch. So although two-thirds of Virginians support government action to reduce climate pollution, Republican legislators in the Commonwealth mostly toed the party line when it came to voting on climate bills. This brought down their GPAs on the Scorecard. Yet a number of legislators received perfect scores, and some received extra credit for introducing important bills, even when they did not pass or even make it out of small-but-hostile subcommittees. Looking at the scorecard, you might wonder about all the clean energy bills we tracked this year, but which don’t show up as scorecard votes. The reason is that most of those good bills were killed in House subcommittees, where votes aren’t recorded. If the House leadership would kindly change that practice and ensure that all bills get recorded votes, we would have a lot more to work with. Even with these limitations, people who have lobbied in the General Assembly will find the Scorecard a reasonably accurate reflection of members’ positions on energy and climate. Yes, we would have expected better scores for a handful of Republicans who have been real leaders on clean energy; it is unfortunate that their climate votes dragged down their grades. But that’s what happens when climate change is treated as a political zero-sum game and party members are forced to choose whose side they’re on. Perhaps next year, with the Clean Power Plan finalized, legislators will find themselves able to move past the political posturing and turn their attention to the pressing need for solutions. Certainly, we’d like to see more “A” students. Thirteen Senators scored a perfect 100%, including Sen. Barker (D-39), Sen. Colgan (D-29), Sen. Dance (D-16), Sen. Ebbin (D-30), Sen. Favola (D-31), Sen. Howell (D-32), Sen. Lewis (D-6), Sen. Lucas (D-18), Sen. Marsden (D-37), Sen. McEachin (D-9), Sen. Miller (D-1), Sen. Petersen (D-34) and Sen. Wexton (D-33). Twenty-five Delegates scored a perfect 100%, including Del. Bulova (D-37), Del. Carr (D-69), Del. Filler-Corn (D-41), Del. Futrell (D-2), Del. Herring (D-46), Del. Hester (D-89), Del. Hope (D-47), Del. Keam (D-35), Del. Krupicka (D-45), Del. Lopez (D-49), Del. Mason (D-93), Del. McClellan (D-71), Del. McQuinn (D-70), Del. Morrissey (I-74), Del. Murphy (D-34), Del. Plum (D-36), Del. Preston (D-63), Del. Sickles (D-43), Del. Simon (D-53), Del. Spruill (D-77), Del. Sullivan (D-48), Del. Surovell (D-44), Del. Toscano (D-57), Del. Ward (D-92) and Del. Watts (D-39). To view the Scorecard online, visit the Virginia Sierra Club’s website at vasierraclub.org or on Facebook. This entry was posted in climate change, legislation and tagged Clean Power Plan, climate, energy, General Assembly, legislation, scorecard, sierra club, Virginia. Bookmark the permalink. Ivy – I’d like to see the scorecard, but my work computer is blocking me from viewing it. Is there a pdf version you could send me?